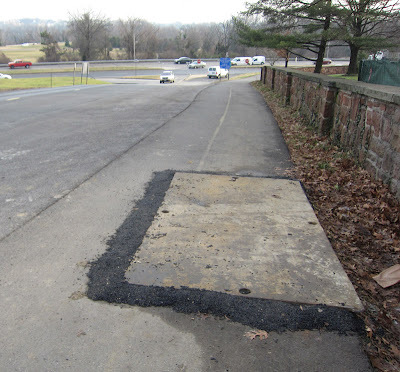 Construction of the new Radnor Heights power substation and power distribution line has created a bump in Rosslyn's Arlington-Washington Bike Expressway. Particularly with rain and freezing conditions, cyclists should take extra care in going over or around it. In related news, wooden overpasses (bridges) that have remained on Memorial Bridge for months create slippery conditions when wet. 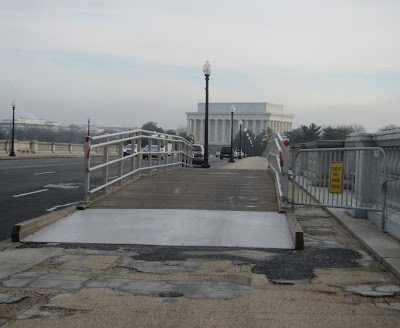 These sidewalk bridges freeze sooner than the whole road bridge, which freezes sooner than other roads. In cold weather, going down is particularly unpleasant. Be careful! Yuck! Thanks for the heads up. Will make sure my neighbors biking to work in D.C. are aware. 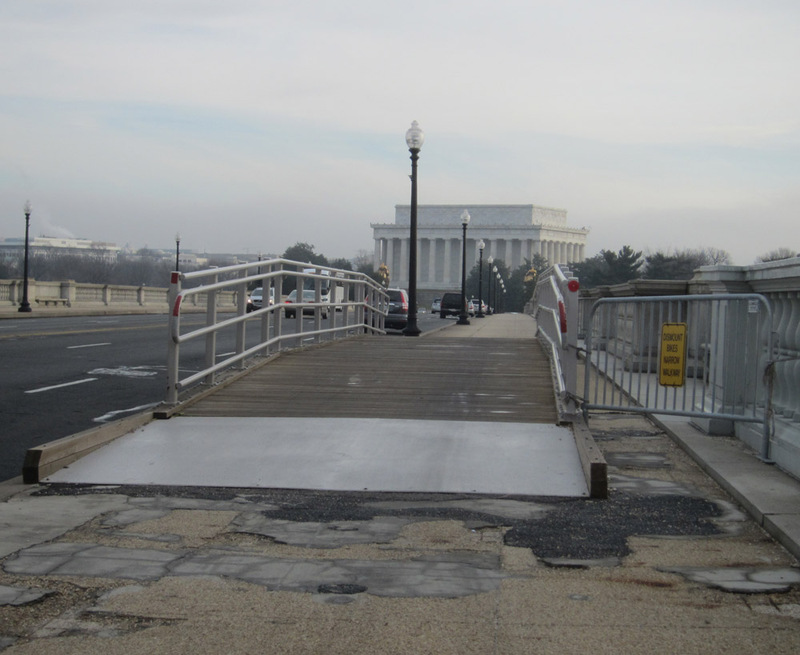 What is with those wooden overpasses on memorial bridge anyway? Bikes too heavy for the bridge joints?? Really dont make much sense.